This is the season of infectious diseases in India. The condition is responsible due to heavy rain and flood. It is natural that hygenic conditions can not be maintained regularly. This rainy weather condition brings infection. An interesting fact is with the virus that it makes lesion in the human body according to its own mood. To someone the virus can creat high fever by producing toxieamia , the others can be affected by diarrhoea, bronchitis, asthama, meningitis, severe dermatitis, skin infection, mumps, laringopharyngeal anomalies, blood anomalies and other syndromes. No body can predict the attack of virus and the parts previously. Anyhow the infection should be treated immediately because it spread very fast. This season, like previous seasons, I am treating successfully virus origined disease conditions by using Ayurvedic and Homoeopathic medicines. In all virus syndromes ,the combination of above said medicine is fruitful, but it is necessary to include other medicines in specifically affected parts in need, which is depend upon the action taken by physician. I always uses a Homoeopathic combination of mother tincture, which is very effective in all infective conditions. Mix in equal quantity. 1/4 teaspoonful to one tea spoonful should be taken 3 or 4 hourly cures every infection and of all kinds. More mother tinctures can be mixed in the above formula, for example in bronchits or pulmonary affections – justicia adhatoda or aspidosperma etc. These medicines can be taken along with the Allopathic medicines. Some times it happens, that antibiotics of the choice is resisted then use these medicines. Most of the complaints severity comes down within 24 hours and cure is possible within 3 or 4 days. I have read HOLY BIBLE completely a few times. When I have time , I try to read HOLY BIBLE to understand JESUS CHRIST and Christianity. I have many Christian friends and many Christian patients and I discuss with them to procure the knowledge about better understanding of Christianity. While I was reading HOLY BIBLE NEW TESTAMENT, few years back, I got some clues, written in BIBLE, which was seems to me the backbone of the Homoeopathic Medical system. Might possible that the Father of Homoeopathy Dr Christian Freidrich Samuel Hahanemann M.D. of Germany , have got insight from Bible, because he was a true Christian and were belonging to a religious Christian family. In Bible, John have said, which means the darkness will come out in light. Similarly Peter have said in Chapter-2 para-9 “who called you out of darkness into the marvelous light. Like that Luke had expressed that whole body is light and dark. Many more similar sayings have been described in Bible. The Father of Homoeopathy Dr CSF Hahanemaan writes in Organon of Medicine that Vital Force deranged internally and the expression of the derangements comes out peripherically. Homoeopathic medical scimece is based on the theory of the Vital Force, which is an essential and integral part of the Homoeopathy. It is possible that the idea of the Vital Force generated in the mind of the Hahanemann from the saying of the Bible, mentioned earlier. The theory of the Homoeopathy is somehow seems to be based on the Bible chapters. I would like to mention them here, but I think that without reading of the Holy Bible, no body can understand the soul of Homoeopathy. I am writing book on the Electro Tridosha Graphy ; ETG AyurvedaScan system. I daily uses in practice the ETG system in patients and in treatment. These are the daily and in routine work. I am fabricating new advance level ETG machine for better uses. Few months back, when I was discussing about the features of the new machine, my engineer asked me that Doctor tell me, how much is the level of electricity in human body. I said , it is -90 mV [minus 90 mV]. My engineer asked me that I will fabricate the machine on -100mV level. I told him that it will be much better in view of sensitivity. While I was reading Bible, I read that JESUS Christ touched the Lepers and their Leprosy have gone immediately. Women suffering from Menorrhagia got immediate cure. Some paralised persons got cure after touching JESUS. I was suddenly remembered the power of electricity in human body existence. If you will say to anybody about these miraculous cure, no one can believe on you. But I thought seriously on these miraculous cures, which can be possible. I remembered about the minus level of the existence of human electricity level and that is according to scientist is minus 90 mV. I thought that if any extra ordinary person have more level of electrical behaviour, he can do this type of the cure/relief. It is possible that JESUS CHRIST could have his own body electrical behaviour more than the -90 mV level and say upto -100 mV level. This extra -10 mV level electrical power provided the curing capacity of the sick persons on touch. Similarly the upper level of human electrical behaviour is varying according to the organ activities, but it never touches positive or + 100 mV. I have found in sick persons the electrical behaviour by the help of ELECTRO TRIDOSHA GRAPHY examination system. In some patients , it is very weak and not upto the mark level. In some it is in excited stages. The ETG traces and the waves are devided in 11 segments. The names of the waves are a,b,c,d,e,s,h,l,m,n,o. These eleven waves are the key of the ETG system. Recently I was reading Bible and a very interesting sayings came out. In Revelation Chapter 1 para 8 mentions “I am the Alpha and the Omega”. That means I am the beginning and I am the last. That means the birth and the death is in my hand. Coincidentally ETG waves are started from “A “ and end at “O”. The living beings records traces in the shape of vertical and horizontal lines of a to o, but dead persons traces are always in the straight lines. Bible have much more, I will provide more to readers in future. I repect Holy Bible and respect Jesus Christ by my heart. When BLOOD PRESSURE does not come within normal limit after taking Anti-hypertensive drugs……what to do ? Many High Blood pressure patient complaints that they are taking regular anti-hypertensive drugs, but their blood pressure dose not come within normal limit , while their Doctor prescribes best medicine for their complaints. Their doctor changing often this or that medicine and they have done all the essential checkups and scans , which condludes all parameters in normal limits. If they take more anti-hypertensive medicines they feel problems all the day. On complaining to their doctor they increase the quantity of the doses but all is invain. I will suggest following some tips to those patients , who are suffering with this problems. First of all, all patients should note it that high blood pressure is a cumulative syndromes of the physical and mental exited stages of the body organ’s pathophysiology. Ayurveda says that “removal of the cause is the removal of the diseases”. So the best way is to remove the cause of your problems. Most of the problems are appearing with the living habits and food intake. Life style is also responsible to generate likely problems. Avoid to take Iodized / plain salt. In place of this salt , better to take “Saindhav Salt” or “Lahori Namak” or “Rock salt”. I always advised my patient to take this salt in all disease conditions since over 50 years of the Ayurveda and Homoeopathic practice. Do not take extra salt in any condition. Donot prefer those food articles, which have saltis inclusions. If you cooks food in home use salt only taste levels and not more than that. Avoide coffee and other stimulating food article like wine in more quantity. Coffee and wine is harmful for Blood pressure. It raises the blood pressure, if taken in more quantity. Bowel clearance is very essential for High BP patient. For that take plenty of Fruits and vegetables in your food menu. Carrots, Guava and Papita are helpful for evacuation of stool. Do not take any purgative for evacuation of stool. This may harm the large intestines. Avoide all kinds of mental stress, this also raises Blood pressure. Avoide extra physical labour. Over physical work may cause HBP. Rest is very necessary for physical fitness. Take 7 hours sleep atleast in night. Fix the time of your Lunch and Dinner, this is essential for your body clock regulation. Ayurvedic and Homoeopathic medicines are used along with the Anti-hypertensive Allopathic drugs, prescribed by patient’s family Doctor. Slowly and gradually patient’s blood pressure came down within normal limit. The doses of the Anti-hypertensive drugs either were same or dose was lessened than earlier. Ayurveda have foolproof treatment of this condition. A large number of medicine is available for treating this condition. Treatment based on the line of the findings of the Electro Tridosha Graphy ; ETG AyurvedaScan certainly cures the condition . Ayurveda believes to treat the system and not the symptoms for total cure. Homoeopathy and other AYUSH THERAPIES can cure this condition depending upon the approach of the concerned medical practitioners. Abstract; Epilepsy is a disease condition, having syndromes of unconsciousness, restlessness before attack, foaming from mouth , twisting of legs and hands etc. This condition is persists for few minutes to many hours. This is also called epileptic seizers. It is believed by the medical practitioners that Epilepsy is difficult to cure or even relieve. Ayurveda have answer to treat successfully Epileptic conditions with the help of ETG AyurvedaScan finding. Likeiwse some other Epilepsy cases , recentaly treated, this case proves the efficiency of ETG system and Ayurvedic medicines and treatment. Patient narrated that 4 years ago he was having very severe backache treated by pain killers and time to time he was taking regular pain relieving medications. After listening him, I suggested for an ETG Examination. I recorded the ETG and told him to come day after tomorrow. Meanwhile I provided him two days medication for immediate start of treatment after recording the traces because ETG provides perfect clues of some disease conditions instantly. • Autonomic Nervous system pressure 540 e.v. • Large Intestines 275.56 e.v. • Lower Limbs 82.50 e.v. All parameters are 90-105 e.v. Some features are not given due to much expension of article. Some of the data are not referenced here, but they are existing in the report. This is the data of the patient. This part of the report is showing the highest areas in excited level and depressed level both. The problem of the patient is concluded after the few steps. Patient narration of his complaint is the first clue towards the diagnosis, that he is a patient of Epilepsy. The on and off Epileptical fits and their nature confirms the Clinical diagnosis. Patient’s recorded traces shows anomalies of brain and the excited stages. Patient’s obtained data provides the intensity of the level of the problems. ETG AyurvedaScan reports shows the normal and abnormal pathophysiology of the scanned organs. Regarding the treatment of the patient basing on the data of the ETG AyurvedaScan, the whole systems are taken into consideration for treatment purposes. The ETG report’s findings tend to treat the patient and not the disease by name. ETG believes to treat the patient systems and not the symptoms. 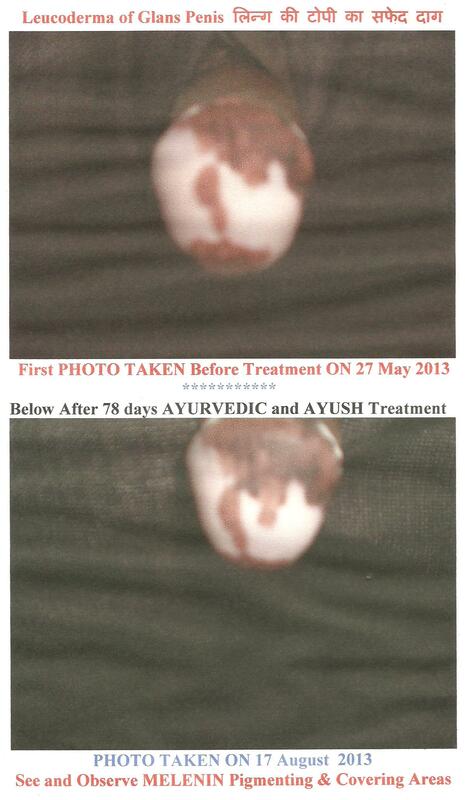 Ayurvedic classical edicines were given to this patient on the base of the findings of ETG record. Patient is OK and he have not recieved any EPILEPTICAL FITS just after the start of Ayurvedic classical treatment. Over Two months have passed and is all correct. He left the treatment , leaving my advise to continue at least two more months. Patient told me that he is all right and needs no medication further.